Staging Your Home To Sell. Designing A Home You’ll Love. 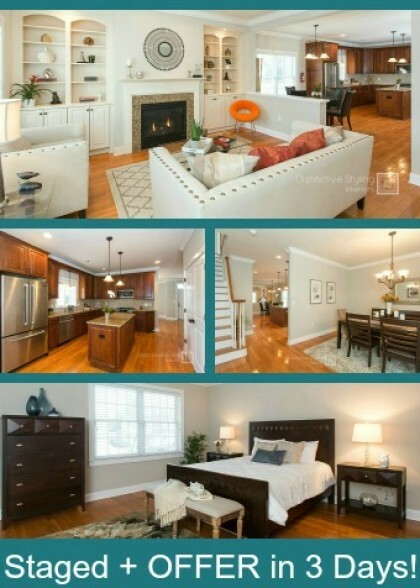 Distinctive Styling is a leading Real Estate Staging and Interior Decorating company located in South Brunswick, NJ. We are expert professional home stagers and design consultants specializing in staging luxury, vacant homes, builder models, new construction homes, occupied houses, rental apartments, and investor rehab flip properties. We assist with all decorating needs including furniture, decor, window treatments, flooring, paint color consulting, space planning, interior styling, room redesign and makeovers throughout Middlesex, Mercer, Somerset, Monmouth county of Northern and Central New Jersey. Loving every room in your house is possible, we can help! With a variety of affordable interior design consultant services, Distinctive Styling interior decorators can help you transform within your style and budget. Services Include color consultations; space planning, furniture layout; room makeovers, e-decorating, window treatments, reupholstery, shopping for furniture, decor and more! SELLING? HAVE BUYERS MAKE AN OFFER WITH DESIGNS TO SELL!